Made in Space's 3D printer will churn out the first 3D-printed tools on the International Space Station. 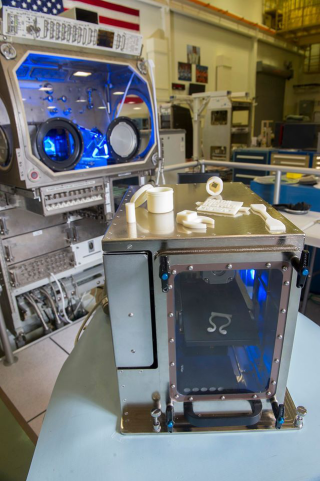 You don't have to become an astronaut to use the International Space Station's new 3D printer. NASA and the American Society of Mechanical Engineers Foundation launched a set of "Future Engineers" 3D Space Challenges on Sept. 21. The contest asks students in grades K-12 to create and submit a digital 3D model of a tool that they think astronauts will need in space. "As you know we don't have overnight shipping up in space, so when we really need something we have to wait," NASA astronaut Doug Wheelock, who spent six months living and working on the space station in 2010, said in a video announcing the challenge. "To be able to make parts on demand will forever change that for us." The grand prize for the winning teen entrant (ages 13 to 19) includes a trip to NASA's Payload Operations in Huntsville, Alabama, where the student will watch his or her print made live on the space station. The winner in the 5- to 12-year-old set will get a 3D printer for his or her school.